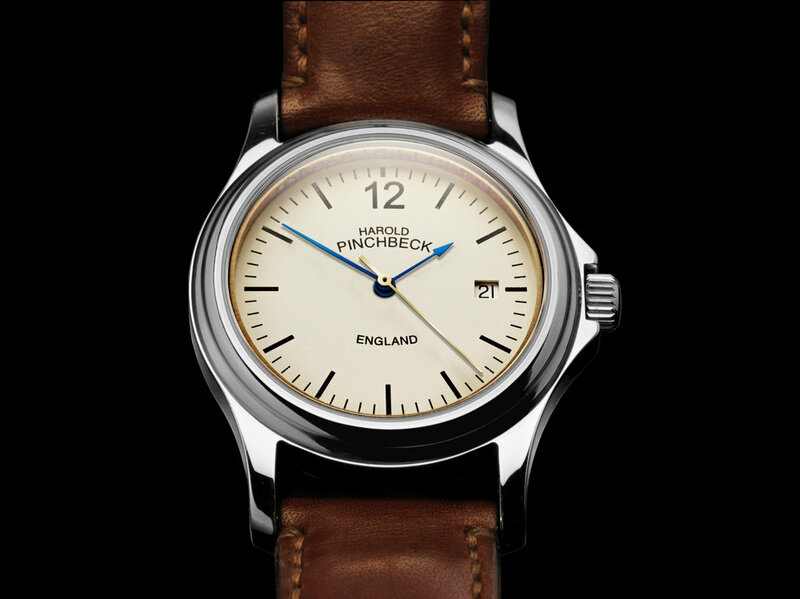 The Christopher has been our flagship watch for many years now. We have decided to simplify the way it is offered on our website, because the almost-infinite variety of available choices tended to confuse potential purchasers, and most customers opted for a fairly small range of options anyway. One of the Christopher’s main attractions is the small, hand-engraved chapter ring between the dial and the glass, which can be engraved with your choice of wording: a unique feature that makes each watch unique, and which is only possible because each watch is built to order. The Christopher has a Swiss-made automatic movement, and virtually every other part is exclusively made in England.